Waiver Applications – NOW Waiver and Comprehensive Supports Waiver – Making Connections. Finding Solutions. IMPORTANT! 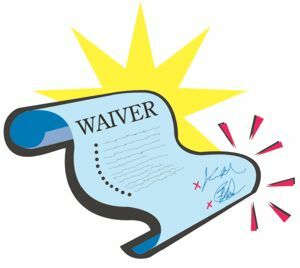 Do not wait to complete the Waiver application. It can take 1-2 years to go through the process to final funding even if it is critical need. This is based on who needs it most and there are limited funds to serve a large population. Do not be afraid or anxious with this process. Fill out the short forms below and they will contact you within a couple weeks to set up interview with you and your child. Let them see how life is really in your house. Let them know your needs and concerns. Let them know also about the family situation. Is this a single parent home, a parent has serious medical conditions, or other complications that make it even more difficult to care for the applicant? From my experience helping others, the people who work here are truly trying their best to help you with what is available and will give you options and suggestions until this can be completed. The family support services can be used before the waiver is put in place to help. Many times this is all that is needed. If your situation changes or contact information changes, make sure to notify the Waiver office to update. If you are unable to open the above packet, use these links below to the website. The above packet has each of these links plus an introduction page about NOW Waiver. Print these 3 forms to complete the full application. For Frequently asked questions and applications see https://dbhdd.georgia.gov/waiver-applications.